Looking to sate cyclists appetite for titanium, Wittson is a bespoke frame manufacturer based in Lithuania that only builds with European Grade 9 Ti. 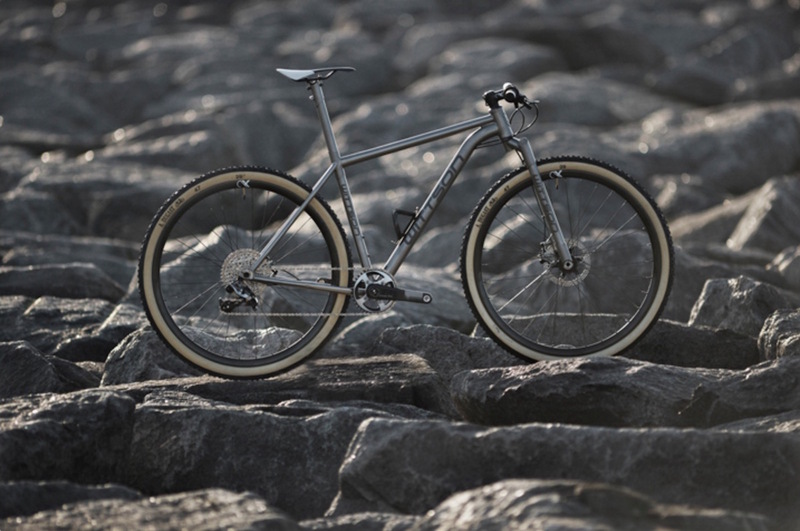 Our attention was first brought to the Wittson name when the company launched a drop-dead gorgeous welded titanium rigid fork. 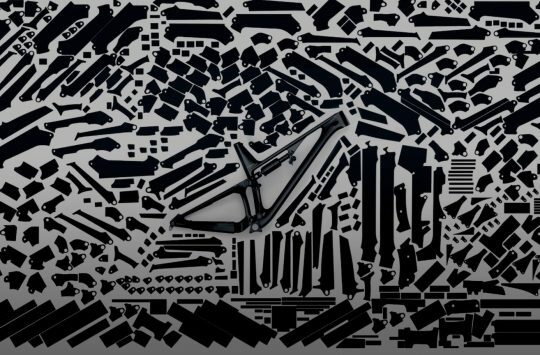 In addition to that striking piece of art, Wittson also produces a full mountain bike hardtail frame, called the ‘Bestia’. 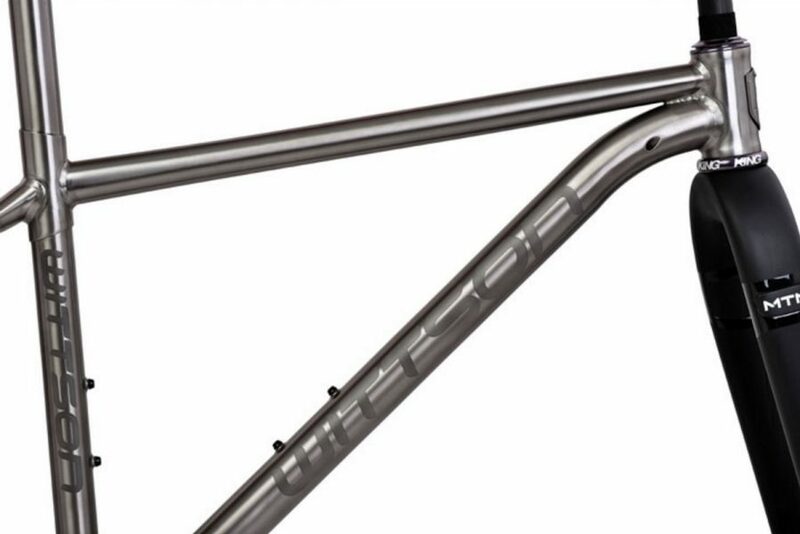 Whilst being equally as lovely, there’s actually a lot of features on the Bestia that aren’t so common with titanium mountain bike frames. It may be expensive and niche-y, but that doesn’t stop us from wanting one BAD! Firstly though, some background. Wittson is still a relatively new name in the cycling scene, but its master frame builder, Vidmantas “Vitas” Zukauskas is not. 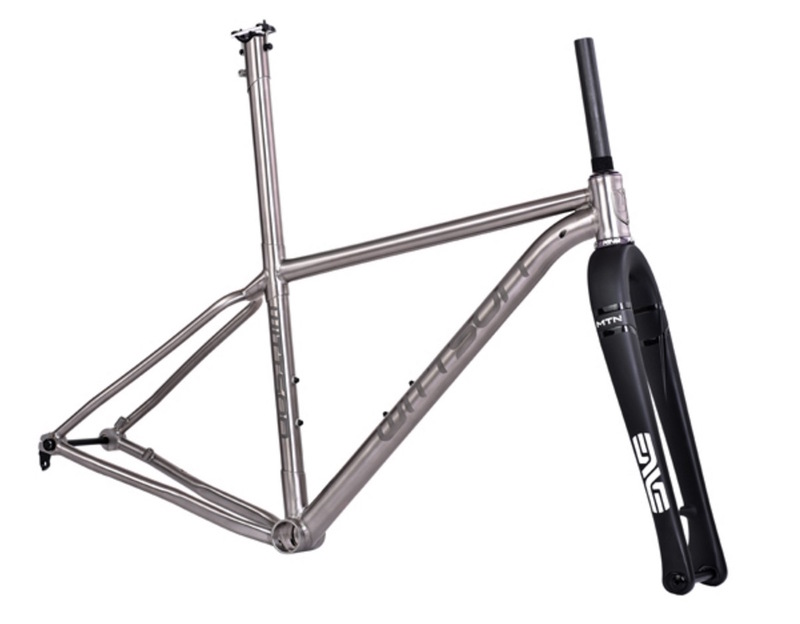 Having previously worked with the likes of Colnago, Argon 18 and a host of other high-end companies, Vitas has over two decades of experience with building titanium road, cyclocross and mountain bike frames. Vitas has such a reputation amongst high-end Ti frame builders, because it’s the only material he chooses to work with. Full-length integrated seat tube on the Bestia. It’s like looking at the back of an aggravated cat. Most of the frames that Wittson produces are custom numbers, but the Bestia is a stock mountain bike frame that’s available with 27.5in wheels (Small, Medium, Large) and 29in wheels (Medium, Large, X-Large), and is designed around a 100mm travel suspension fork. Like all of Wittson’s frames, the Bestia is made from Grade 9 Titanium that’s welded up in their small Lithuanian-based workshop. 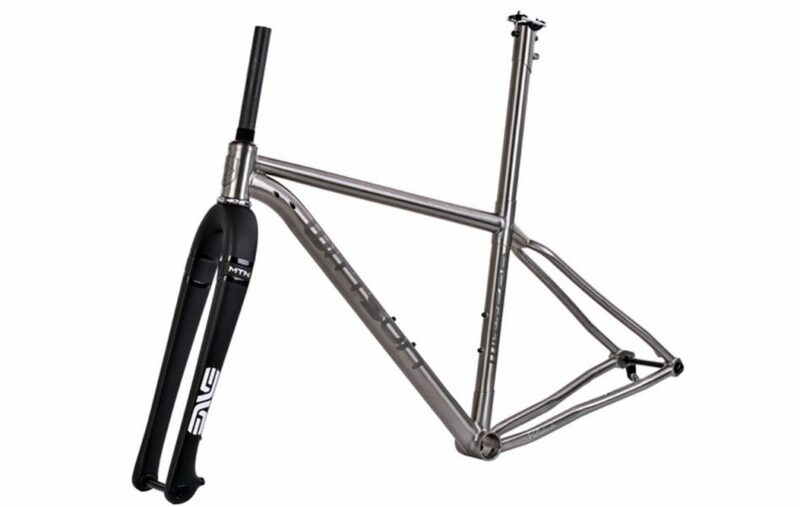 Go full race-spec with a carbon rigid ENVE fork. Oooh, well that is quite lovely. Single-piece seat stay assembly that uses a wishbone junction up at the seat tube. Wittson claims this adds more ‘spring’ to the back of the Bestia, but it looks incredible too. 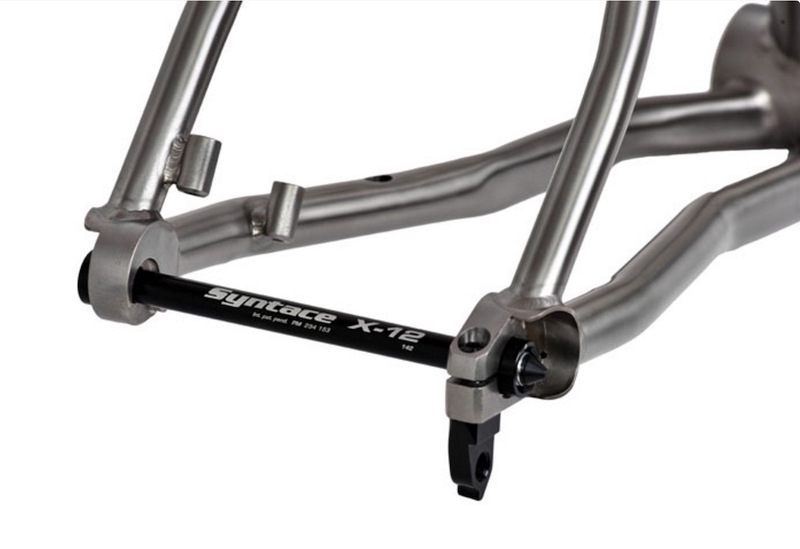 Big cowled PMW dropouts from the US, and a Syntace X-12 screw-in axle locking it down. Elegant post-mount brake tabs too. 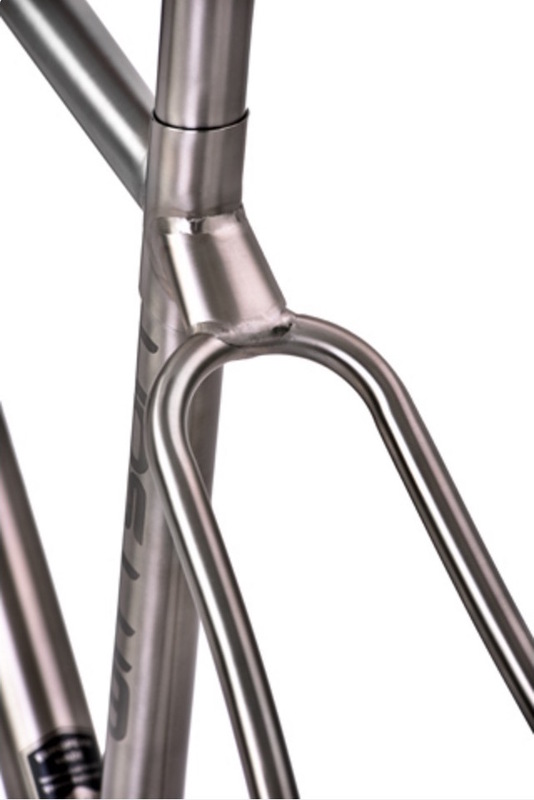 Hydroformed downtube, chain stays and seat stay provides curves in all the right places. Along with full custom butting, the Bestia highlights Vitas’ years of experience of working with titanium. While the Bestia is a stock frame, there are multiple custom features available. Rather than the stock PF30 bottom bracket shell, you can get a new T47 BB, and you can even spec Boost 148x12mm dropouts too. Want a belt drive? 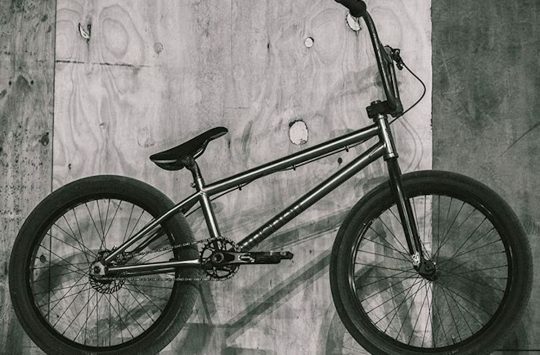 Maybe you want the frame built with a Pinion gearbox? Wittson will do that for you, and they’ll even build the Bestia around a longer travel suspension fork. So be prepared to waste A LOT of time choosing options! Head to wittson.com for more info. 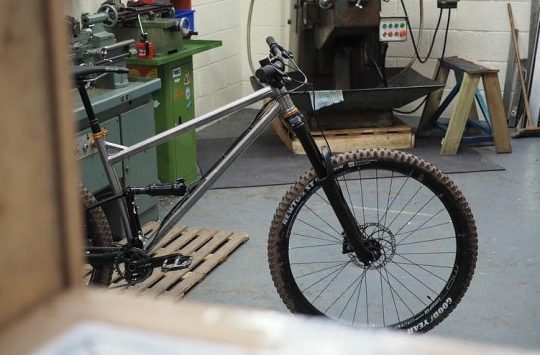 Starling Cycles Tease Stainless Steel Murmor, or is it Ti? Love the finish and curious about the Ti forks. Dislike with a passion bent downtubes, they look particularly worse on Ti frames though. Curious as to how the integrated seatpost works. OK. Who do I hafta kill? Chop seatpost to length and fit clamp on top, measure repeatedly before chopping I imagine. Wow – that is gorgeous! @bedmaker – Yup, and there’s a lot load of other options too. 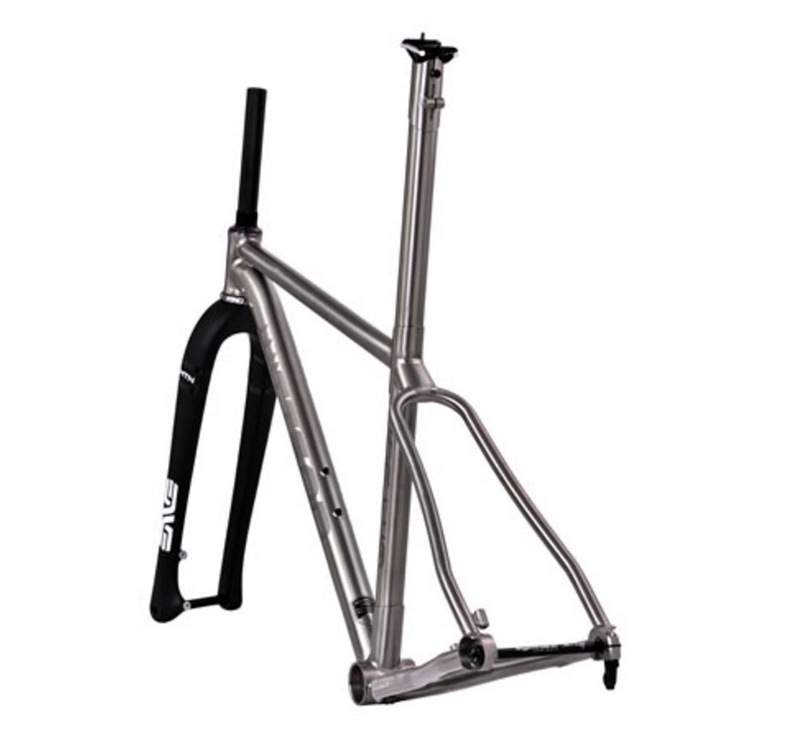 You can get a singlespeed-specific frame, internal or external routing, PF30 bottom bracket or T47 bottom bracket, 142x12mm or 148x12mm dropouts, setup for longer travel forks etc. It appears to be a long list! We have them at Bespoked show, lovely guys. Any search on eBay for other Ti frame makers has these people sticking there wares in front of you. It really annoys me. A couple of those welds don’t exactly look in the Moots league.